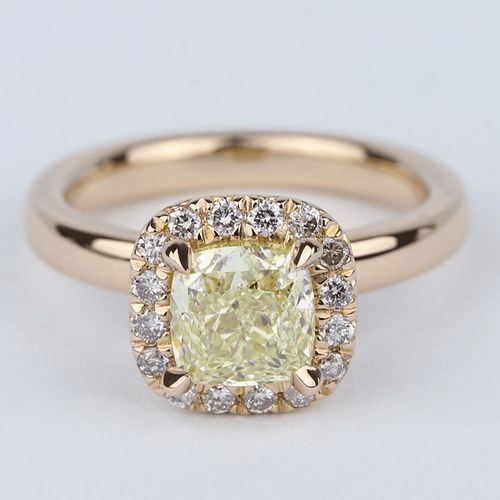 Yellow is often associated with happiness and joy, so a piece of jewelry with a yellow diamond or yellow sapphire can brighten up any outfit. But, before buying jewelry that features yellow stones, it’s important to understand the difference between yellow diamonds and sapphires. 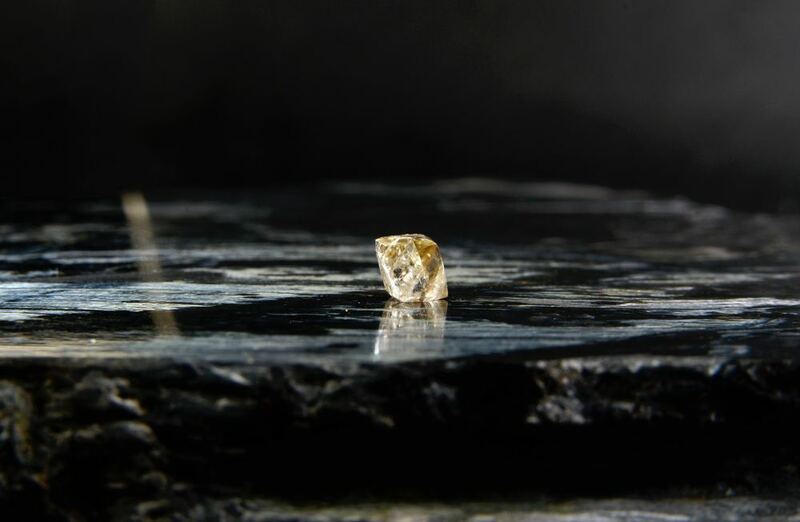 Many people think of diamonds as being crystal clear, but they can actually be found in a number of different colors, including yellow. A yellow diamond is often referred to as a canary diamond and it can range in color from a pale yellow to a deep and vibrant yellow. Besides yellow, diamonds can also be found in pink, blue, green, brown, and black. Sapphires on the other hand are often associated with the color blue, but this gemstone can also be found in pink, purple, orange, yellow, and green. 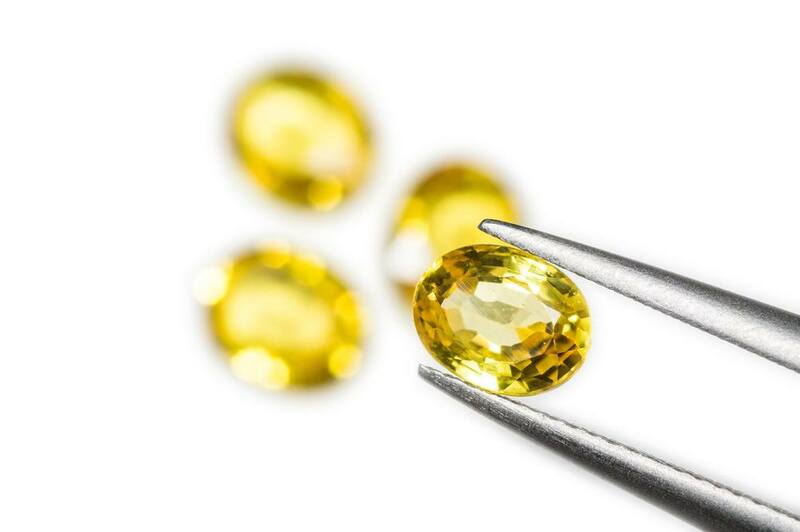 Similar to yellow diamonds, a yellow sapphire can range from a light yellow to a dark yellow-orange color. The most sought-after type of yellow sapphire has slight orange undertones and a deep color saturation. At first glance, a yellow sapphire and yellow diamond may look fairly similar, but they are actually very different. Yellow sapphires are not as valuable as yellow diamonds, which means they won’t cost as much, and many people who can’t afford a fancy colored diamond choose a yellow sapphire to achieve the same look. Both sapphires and diamonds are durable, but diamonds are the strongest gemstones in the world. Diamonds are rated a perfect 10 on the Mohs Scale of Hardness, whereas sapphires are rated a 9 out of 10. This means that even though sapphires are resistant to scratches and other types of damage, diamonds are still the better choice for maximum durability. People who purchase yellow diamonds or sapphires are obviously doing so because they love the brilliant yellow color of the stone. 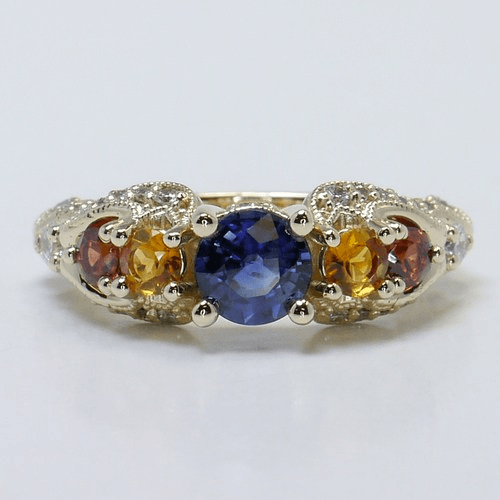 However, it’s important to know that the color of a yellow sapphire may fade over time. This isn’t true of all yellow sapphires—only those that have been artificially colored or exposed to radiation within the earth. The color in these sapphires could slowly fade if they are exposed to heat or sunlight for a long period of time. On the other hand, the color in a diamond will never fade. To avoid the problem of fading, either stick with yellow diamonds or make sure you are purchasing a sapphire that has not been artificially colored or exposed to radiation. Another difference between these two stones is the way they are graded. The Gemological Institute of America (GIA) grades diamonds—even colored diamonds—based on a number of factors, including cut, clarity, color, and carat. The GIA report can be reviewed by potential buyers so they can confirm the value of the diamond prior to purchasing it. However, the GIA does not grade sapphires. This means shopping for a yellow sapphire may be more difficult since there is no way to look at a report to confirm the value of the stone. There’s no question that yellow diamonds and yellow sapphires are both equally striking. 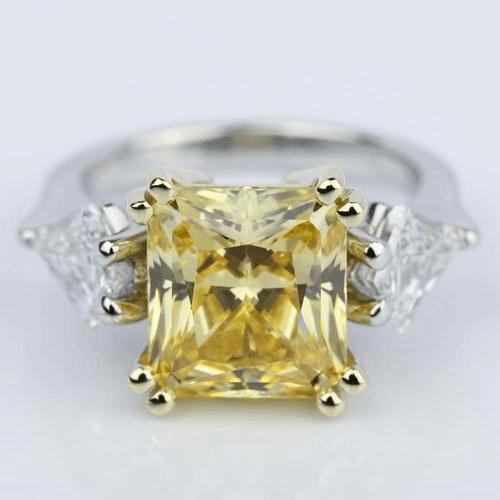 If you are interested in a yellow stone and have a limited budget, a yellow sapphire is a great choice. 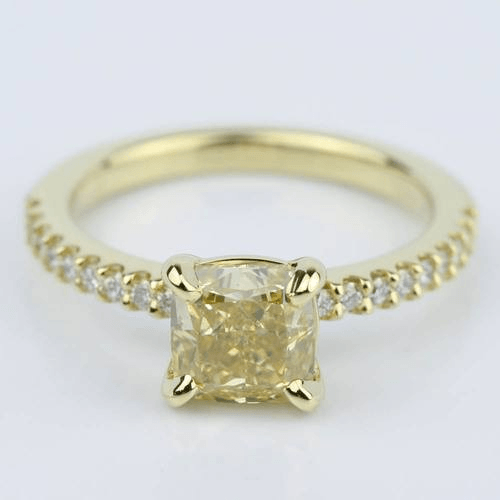 But if price is not an issue, yellow diamonds are the best choice because they are more valuable, durable, and precious.